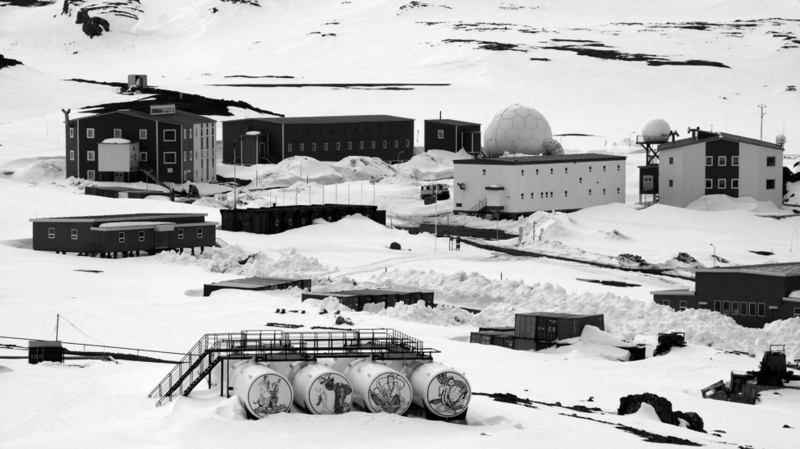 China’s Great Wall station, Antarctica (Source: Panoramio). Chinese foreign policy is receiving ever more attention in Western policy circles. Intuitively, the Arctic and Antarctic may seem remote, both geographically and politically, from issues such as trade disputes or Eurasian infrastructure projects, but recent developments indicate that their links are strong and growing. Tourism to the Polar Regions emanating from China is a subject that warrants greater geopolitical analysis. This article will consider Chinese tourism in Antarctica alongside its other activities, looking at the implications for the continent’s tourism industry as well as China’s role in its governance. As visitors continue to grow both in number and the range of their activities – and while China’s role grows with them – it is argued that tourism will provide another platform for strategic Chinese engagement in Antarctic governance. China as a ‘near-Antarctic’ state? China’s presence in Antarctica is growing. It currently has four research stations: two permanent – Great Wall (Changcheng, built in 1985; Figure 1) and Zhongshan (1989) – and two summer-only – Kunlun (2009) and Taishan (2014), with a fifth due to be completed in the Ross Sea area in 2022. For the latest five-year plan (2016-20), it is seemingly investing heavily in its Antarctic research infrastructure, with a new fleet of fixed-wing aircraft (Snow Eagle 601). Last month, China also launched its second dedicated icebreaker – Xue Long 2 – with suggestions of additional polar shipping capacity in the pipeline. This will significantly increase its capacity to construct research across both poles; indeed, it now matches the US in icebreaker capabilities. This investment in infrastructure and logistics capabilities make it clear the Antarctic has become a region of importance to China. A sense of its strategic value is provided more clearly by the high-level political attention Antarctica has received within China. In a speech given in Hobart, Australia, in November 2014, President Xi Jinping declared his country would soon be joining the ranks of the polar ‘great powers’: given his consolidation of power in China, it highlights how Antarctica (and the Arctic) will be given a prominence not seen before. Early indications of this interest in polar governance include its efforts to be involved in high-level diplomatic negotiations over Antarctic marine protected areas (MPAS) and the recent agreement on suspending Arctic high-seas commercial fishing. Chinese engagement in Antarctica is representative of broader trends. Increasing logistics capabilities is a strategic endeavour to realise its wider foreign policy aims, argues Anne-Marie Brady, author of the book China as a Polar Great Power. Specifically, it will drive China’s goal to establish an effective ‘blue-water’ navy that can operate across the high seas outside of China’s neighbouring oceans (including, notably, the South China Sea). A scientific presence in Antarctica is building the Chinese contribution to climate-change research, such as plans to drill new ice cores at Dome A. The promotion of industry also features in this engagement. As an aspect of Xi’s ‘mercantilist’ drive for Chinese business around the world, there is certainly a growing interest in both Antarctic fishing and mineral resources. The Chinese Fisheries Bureau has stated, “China should actively explore/exploit Antarctic marine living resources under the framework of CCAMLR, with particular focus on krill resources.” Part of the reason China objected to the Ross Sea MPA when it was first proposed was to ensure it could access its living resources, including krill – a species central to the Antarctic ecosystem – and it was a success for China to have the MPA time-limited, argue Liu & Brooks (2018). State organisations such as the Polar Research Institute of China have previously made clear their motivation to study Antarctic resources. As commercial mining is banned until 2048 under the Environmental Protocol (1991) to the Antarctic Treaty, this is to position the country to make claims from that year (even though the Protocol was worded such that signatories must unanimously agree to alter the prohibition, arguably making change difficult). There is a growing engagement by China with Antarctic governance and the continent’s resources through various organisations and multiple channels. Where does tourism feature in this? Chinese tourism has increased significantly in Antarctica. It has risen from around 100 visitors in 2005 to almost 8,300 in 2017-18, becoming the second-largest national contingent on the continent after the US. This growth is recent, for when Bauer (2013) discussed the potential for growth of in-bound Asian tourism after the 1999-2000 season, 73% hailed from Japan (with others mostly from South Korea, Singapore, Taiwan, and Malaysia). Visitors mostly take cruises and stop by the country’s first research station – the Great Wall – with a minority flying to other areas such as the South Pole. The phenomenon reflects the growing wealthy and middle class in China. Customers are typically in executive positions, well-travelled and middle-aged or older: groups that can afford cruises reportedly starting at $10,000 (almost the median annual wage in Shanghai). It is, therefore, much like China’s search for resources and influence in that it is part of a worldwide rise: travels outside ‘Greater China’ have increased from under five million in 2000 to over 70 million in 2017. There are concerns that should tourism continue to increase and diversify, it could become unmanageable. It will place strains on the local environment where tourists land, as well as the capacities of research stations they choose to visit and nearby search and rescue centres. Tourism could, therefore, become increasingly seen as a problem, both in public debate and at the annual meetings of the Antarctic Treaty Consultative Parties (states with an active scientific presence in Antarctica). This poses a threat to current governance arrangements, where firms work within the provisions of the Environmental Protocol, but their conduct and activities are self-regulated by the International Association of Antarctic Tour Operators (IAATO; of which most firms have membership). As with the MPAs and negotiations over fishing rights, this presents China with an opportunity to assert itself. Calls have been made for national regulation of tourist firms, instead of self-regulation; and more stringent environmental or area-based protections. A more active China would likely seek to effect change suited to its interests (and those of its growing businesses), while it would also offer influence over governance outside the traditional hegemon of science. As in trade and global leadership, it would provide an area of contest between the continent’s two largest sources of tourists – the US and China. The Chinese tourism industry has made significant steps in Antarctica, as has China itself in its scientific and political capabilities. Much was made of the first ‘Chinese flight’ departing from Hong Kong to the Antarctic mainland, a milestone for a country that barely sent 100 visitors at the start of the millennium. But there are limits to the significance of this growth: the flight stopped to refuel in Cape Town and the final part was organised by the UK-based operator White Desert. Although guidelines have been issued to tourists, their environmental impact falls in line with IAATO standards with which the majority of the industry complies. As long as the tourist industry can continue this effective self-regulation, problems should not be posed; and IAATO insists there is still room for tourist numbers to grow. Climate change and rising powers may alter the current balance, and lead to calls for change in the largest source of visitors to the Antarctic. Brady, 2017: China as a Polar Great Power, Cambridge University Press: Cambridge. Fisheries Bureau, China Ministry of Agriculture, 2012: Opinions on Sustainable and Healthy Development of Distant Water Fishing. http://www.moa.gov.cn/zwllm/tzgg/tz/201211/t20121122_3069037.htm(in Liu & Brooks, 2018). Bauer, 2013: Tourism in the Antarctic: Opportunities, constraints, and future prospects, Routledge: New York, NY. Max Daniels serves as a Fellow at Polar Research and Policy Initiative. Max graduated with a BA in Human Geography from Durham University. His interests lay in a diverse range of subjects, including political and urban geographies with a cross-disciplinary focus on Arctic governance, while his dissertation analysed the regulatory framework of Antarctic tourism. Following experience in the travel industry, he is now completing his MA in Geopolitics, Territory and Security at King’s College London. He has pursued his studies in international spaces and the poles, with projects focusing on the legal aspects of territorial and border disputes in the Arctic, and the Antarctic’s environmental geopolitics.